Since its launch over a month ago, new virtual currency Zcash (ZEC) has become a significant way for cybercrooks to make money by infecting computers with software mining program. 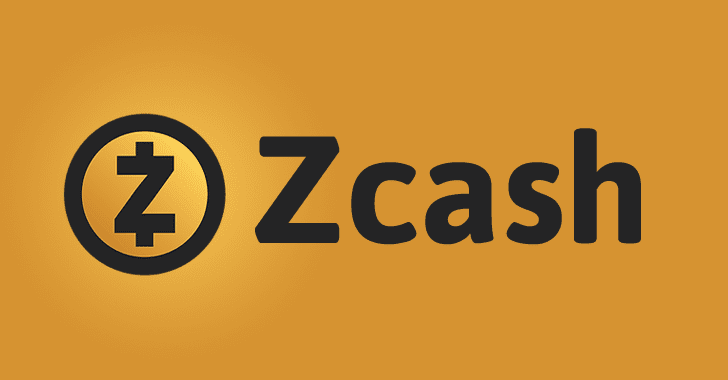 Launched in late October, Zcash (ZEC) is a new cryptocurrency currency that claims to be more anonymous than Bitcoin, as the sender, recipient and value of transactions can be hidden. With this premise, Zcash attracted significant interest from academics, investors, miners, and cyber criminals. Within the first few hours of its launch, 1 ZEC reached $30,000, a relatively high value any cryptocurrency ever had. At the time of writing, 1 ZEC is worth 0.06 BTC or around $49. However, according to a blog post published on Monday by Kaspersky Lab, cyber criminals have already started deploying malware that installs on and infects the computers of unsuspecting users and then uses their resources to mine Zcash for the hacker's profit. You Might have Zcash Mining Malware on Your PC! The actual software is not illegal nor infected with malware. It is just meant to be used by willing individuals to dedicate their computer resources for mining Zcash. Mining is basically solving math problems for a reward in the virtual currency. However, researchers noted that hackers are distributing malicious software via links for things like pirated software, forcing unwilling users' computers to mine Zcash without their knowledge. "Cybercriminals use rather conventional ways to distribute mining software – they are installed under the guise of other legitimate programs, such as pirated software distributed via torrents," said Kaspersky Lab security researcher Aleks Gostev. "So far, we have not seen any cases of mass-mailings or vulnerabilities in websites being exploited to distribute mining software; however, provided mining remains as profitable as it is now, this is only a matter of time." Once installed, the malware forces a victim's computer to mine Zcash and transfers the funds to the attacker. Kaspersky Lab has so far detected around 1,000 possibly infected computers that have some versions of the Zcash miner software under a different name such as system.exe, diskmngr.exe, taskmngr.exe or svchost.exe. This number of infected computers could generate as much as $75,000 a year in income. Since cryptocurrency mining operation is power hungry, the computer uses up a lot more electricity that could end you up paying a hefty electricity bill. So, if you have noticed your recent electricity bill to be unexpectedly excessive, chances are a Zcash cryptocurrency miner is running in the background. Besides this, the mining operation typically eats up 90 percent of your system's RAM, which dramatically slows down the speed of both the operating system as well as other applications running on the computer. If this is also happening to you, your computer is running a miner without your knowledge or consent. The worst part of this particular miner is that it gets restarted each time the host computer is restarted. So, switching the computer off and on will not change the situation. The anti-virus company has also provided a list of processes and programs (executables and DLLs) that, if found on your computer, indicate that your system is covertly mining crypto coins for hackers. For more technical details on the new malware campaign, you can head on to the Kaspersky Lab's blog post.